Thanks to its smart price, our compact medical sink MP’SMART offers the access to premium medical hygiene for dentists, general practitioner, and other independent medical offices. 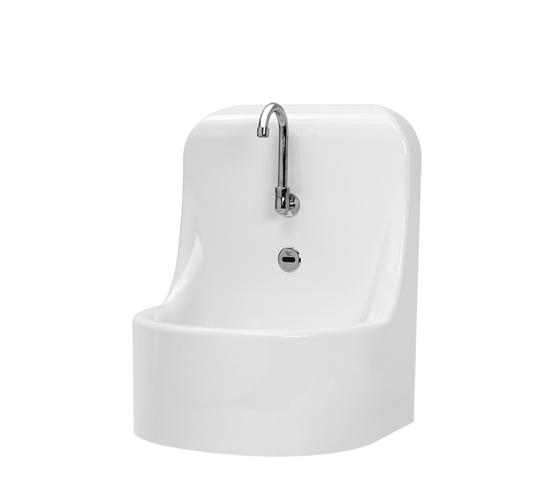 As our main surgical scrub sinks, the medical sink MP’SMART with four types of water command and a large choice of water treatment and hygiene accessories in order to have the perfect washbasin station you need. Clic on the link « Quotation request » to reach the full list. Compact size, with a clean, elegant design, the MP’SMART scrub sink guarantees a hygienic hand wash even in tight places in order to meets full hygiene compliance and fight against healthcare-associated nosocomial infections. Material specifications. Medical offices, dental and cosmetic offices, nursing rooms, clinics, maternity units, workrooms, patient rooms, hospitals and clinical corridors. Same as our surgical scrub sink range, the medical sink MP’SMART is available with four touchless types of water command. It also can be equipped with soap and paper dispensers, and pre-filters and terminal filters if needed to control the water quality. Clic on the button “Quotation request” in order to reach the full list of options in the request form. A quick answer will be sent to you in less than 24h. Rounded shapes for low infection risk and easy cleaning. Sanitary antibacterial gelcoat surface that limits deposits. Moulded in one single piece, without any glued or welded part. High backsplash and lateral panels to protect the area from drops. Rounded upper part to avoid any object deposit. 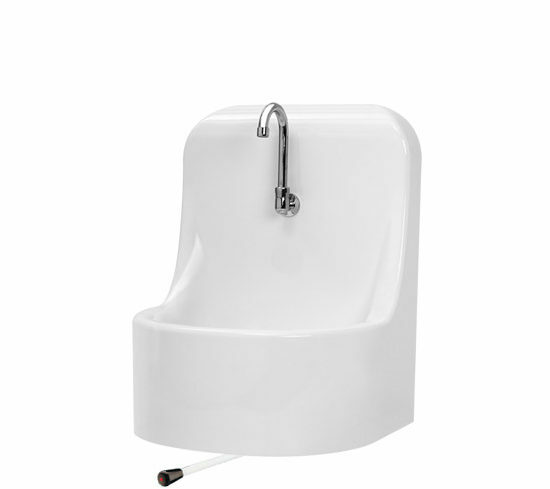 Wall mouted faucets only to reduce bacteria’s niches.